About Essential Skills (ES1): AEDP Essential Skills course will provide practical skills for the application of AEDP as well as a thorough immersion in the theory underlying the practice. Our aim is to teach, in both left-brained and right-brained ways, different types of clinical interventions so that participants will emerge with both an understanding and a felt sense of how to “do” AEDP. Each day’s teaching will include didactic presentations of theory along with video of actual sessions conducted by AEDP Faculty followed by small group experiential exercises. What we consider AEDP’s “essential skills” will be didactically demonstrated and experientially explored so that participants develop both a felt sense and a cognitive understanding of them. A key component of the experiential practices is the opportunity to “try on” sets of interventions as a therapist and to receive them as a client. We have found that learning new skills can give rise to experiences of safety, attachment security, transformation, increased therapeutic courage, and related phenomena; precisely the kinds of experiences AEDP facilitates for its clients. In order to help foster this crucial kind of learning our ES courses are supported by highly skilled assistants. Each day, they aid the course faculty by leading small groups in practicing essential AEDP skills. The concentrated time that participants spend together immersed in learning inevitably leads to the development of a culture of trust and generosity that allows for risk-taking and a supportive environment that is uniquely suited for optimal learning. We highly recommend that you complete Immersion before taking Essential Skills (ES1). If you are committed to learning AEDP but have not yet taken Immersion, and you are a practicing professional in the field of psychotherapy, you may take ES1, but only after completing the online course “Intro to AEDP.” Note that “Intro to AEDP” is by no means a substitute for Immersion and Immersion is a requirement for AEDP certification. You may be eligible to earn up to 6 CE/CPD hours for taking the Intro to AEDP online course and when you complete it you will eligible for a $100 credit towards a future Immersion course. Intro to AEDP registrants are responsible for confirming acceptance of the course’s CE/CPD hours with their local licensing/accreditation organizations. Continuing Professional Development: AEDP’s application for CPD credits has been submitted and we have every reason to believe it will be accepted. Please email our London Course Administrative Partner Marina Hopkins at london.aedpinstitute@gmail.com for the status. Are you a Member? Log in to get your Member discount! Pay by credit card with your paypal account or use Transferwise! AEDP Diversity Scholarships are available for this course. If you are interested in applying, please email your application by November 1st to Lynne Hartwell at lynne.e.hartwell@gmail.com. Karen Kranz, PhD, R. Psych. After the Immersion course, she began supervision with Dr. Fosha. "At that time, all that interested me was becoming a better clinician, AEDP certification as a therapist and supervisor and becoming faculty were never my ambitions. However, as I deepened into both my knowledge and experience of AEDP and in the AEDP community, I realized that it was through the process of certification as a therapist, as a supervisor, and now with teaching and writing that I was becoming a better therapist." 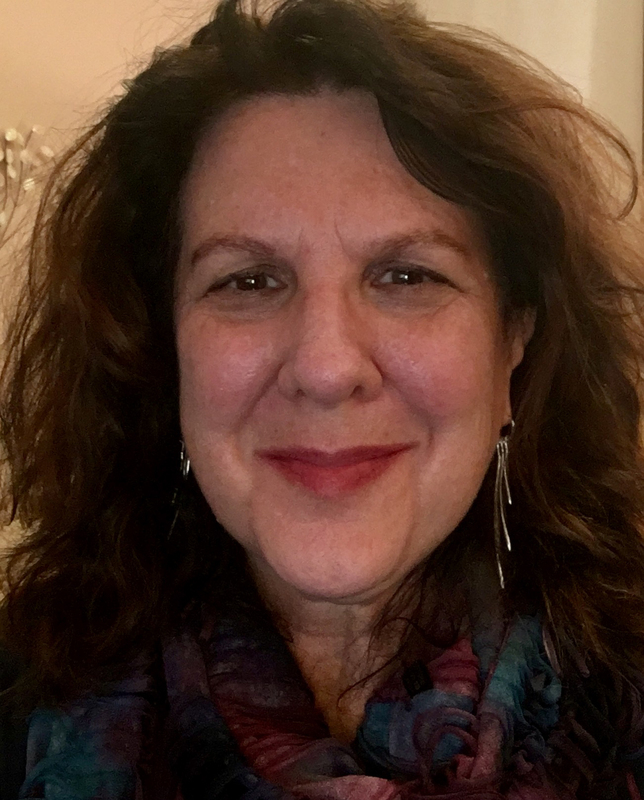 With AEDP, Dr. Kranz says she "found a therapeutic home and a community of colleagues when I did not even know I was looking for one, or perhaps more aptly wasn’t looking for one because I did not believe such a home existed." Nationally and internationally, Dr. Kranz supervises and teaches in Immersion Courses, Essentials Skills (ES1), Advanced Skills (ES2), and Core Training. Her most recent paper “Making AEDP supervision relational and experiential: Cultivating receptive affective capacity in supervisee and client” is published in the AEDP Journal Transformance. * Disability Access – If you require special accommodations please contact our office 10 days or more before the event. We cannot ensure accommodations without adequate prior notification. ** Continuing Professional Development Hours/Continuing Education Credits: Accreditation Organizations / Licensing Boards change regulations often and while we attempt to stay abreast of their most recent changes, if you have questions or concerns about this course meeting your specific requirements, we recommend you contact your local accreditation organization/licensing board directly to obtain a ruling. *** To see our Refund Policy or to file a Grievance, click here. In AEDP, we pride ourselves in how thoroughly and deeply we seek to both (i) undo aloneness and (ii) engage in rigorous clinical teaching with skilled accompaniment. We are proud to say that our ES courses feature a high number of highly skilled assistants – and this course is no exception. AEDP Advanced Skills is for licensed practitioners who have completed both Immersion and AEDP Essential Skills (ES1). Practical in its orientation, this course focuses on helping you both (i) learn new advanced AEDP skills, and (ii) cultivate and fine-tune the AEDP skills you already have. In both left-brained and right-brained ways, we aim to teach you specific interventions and techniques that are concrete and specific that will help you with your more challenging clients. While reviewing and deepening your AEDP essential skills throughout, the Advanced Training will teach the different advanced skill sets necessary to the in-depth practice of AEDP, with theoretical foundations and clinical videotapes, as well as with group experiential exercises. The AEDP Advanced Skills course aims to help you to really “work it,” AEDP style, while troubleshooting what stands in the way of your doing so. This course focuses on learning new advanced skills and reviewing, deepening and improving basic AEDP skills. You will develop more of a felt sense of how to entrain the quintessentially AEDP practice of “stay with it and stay with me” and how to keep the transformational process unfolding in all states. Experienced AEDP practitioners will closely assist with the experiential practices. Day 1: “Oh, won’t you stay just a little bit longer.” Scaffolding and fine-tuning the experiential interventions of interpersonal and intrapsychic work. Day 2: “What feeling?” Working with patients who don’t easily take to AEDP: advanced defense work Part 1: Building self and self compassion. Day 3: Advanced Defense Work Part 2: When Defenses don’t melt and can’t easily be bypassed. Day 4: Pathogenic Affects: Working with shame and guilt in AEDP. Day 1: Attunement, Co-regulation, and “Fierce Love”: 3 Essential Skills in Healing Attachment Trauma and transforming the Self. Day 2: Just portrayals: an emotion processing option. Day 3: When positive experiences trigger negative reactions. Trauma, dissociation, ‘parts’ work; AEDP-IR. Day 4: Pathogenic/Maladaptive affects: exteneded State 1 work; use of self; top-down as well as bottom-up restructuring strategies. Day 5: Advanced Metaprocessing: Memory reconsolidation at work. Benjamin Lipton, LCSW, is a founding faculty member of the AEDP Institute. He is based in New York City and travels nationally and internationally to teach and present AEDP to a broad range of professional audiences. Mr. Lipton pioneered the first AEDP Advanced Core Training programs (Bay Area and Seattle) and currently co-leads the AEDP Retreat Style Essential Skills course. His open and engaging teaching style and skill in translating complex ideas into clear and accessible learning points receives consistent praise from his audiences. Mr. Lipton is the editor of From Crisis to Crossroads: Gay Men Living with Chronic Illnesses and Disabilities (Haworth Press) and has published many clinical articles and book chapters in psychology and social service journals over the past two decades. His most recent article, co-authored with Diana Fosha, is on working with attachment in AEDP; Attachment as a Transformative Process in AEDP: Operationalizing the Intersection of Attachment Theory and Affective Neuroscience. 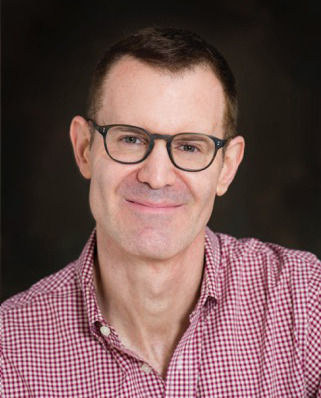 Mr. Lipton has held adjunct faculty appointments at Columbia Presbyterian Department of Psychiatry and New York University School of Social Work and he serves on the Editorial Board of the Journal of Gay and Lesbian Social Services. Previously, he was the Director of Clinical Services at Gay Men’s Health Crisis (GMHC), the world’s first and largest HIV/AIDS service organization. In addition to his expertise in AEDP, Mr. Lipton has training in EMDR, Internal Family Systems, Somatic Experiencing, Solution-Focused therapy and psychodynamic psychotherapy. Mr. Lipton is committed to the foundational principle of human development that change for the better, at every level of civilization, flourishes when people feel safe enough to be curious and take necessary risks. He is passionately dedicated to bringing this alive in both his practice and teaching. Continuing Education: This program is eligible for 65 CE Hours of continuing education credit through our partner R. Cassidy Seminars. CE Credits are included in the course fee. Participants must have paid course fee, signed in and signed out, attended the entire course and completed an evaluation to receive a certificate. Failure to sign in or out will result in forfeiture of credit for the entire course. No exceptions will be made. Partial credit is not available. Please see the bottom of the page for State and Licensing Board Specifics. Please contact our office 866-992-9399 if you have questions about disability access or accommodations. This program is eligible for 65 CE Hours of continuing education credit through our co-sponsor R. Cassidy Seminars. CE Credits are included in the course fee. Satisfactory Completion Participants must have paid tuition fee, signed in, attended the entire seminar, completed an evaluation, and signed out in order to receive a certificate. Failure to sign in or out will result in forfeiture of credit for the entire course. No exceptions will be made. Partial credit is not available. Psychologists R.Cassidy Seminars is approved by the American Psychological Association (APA) to offer continuing education for psychologists. R. Cassidy Seminars maintains responsibility for this program. 65 CE hours. NY: R. Cassidy Seminars is recognized by the New York State Education Department’s State Board for Mental Health Practitioners as an approved provider of continuing education for licensed psychoanalysts. #P-0005. 65 clock hours. Social Workers R. Cassidy Seminars, ACE provider #1082, is approved as a provider for social work continuing education by the Association of Social Work Boards (ASWB) www.aswb.org, through the Approved Continuing Education (ACE) Program. R. Cassidy Seminars maintains responsibility for the program. Approval Period: April 15, 2018-April 15, 2021. Social workers should contact their regulatory board to determine course approval. Social workers participating in this course will receive 65 continuing education clock hours. NY: R. Cassidy Seminars is recognized by the New York State Education Department’s State Board for Social Work as an approved provider (#0006) of continuing education for licensed social workers. This program is approved for 65 contact hours live. IL: R. Cassidy Seminars is approved to offer continuing education to Marriage and Family Therapists by the Illinois Department of Financial and Professional Regulation provider #168000141. 65 Continuing Education Credits/Hours. NY-LMHCs: R. Cassidy Seminars is recognized by the New York State Education Department’s State Board of Mental Health Practitioners as an approved provider of continuing education for licensed mental health counselors. #MHC-0015. 65 contact hours. NY-LMFTs: R. Cassidy Seminars is recognized by the New York State Education Department’s State Board of Mental Health Practitioners as an approved provider of continuing education for licensed marriage and family therapists. #MFT-0011. 65 contact hours. TX: R. Cassidy Seminars is approved by the Texas Board of Examiners of Marriage and Family Therapists to provide CE offerings for MFTs. Provider Number 151. 65 Continuing Education Credits/Hours. NY: R. Cassidy Seminars is recognized by the New York State Education Department’s State Board of Mental Health Practitioners as an approved provider of continuing education for licensed creative arts therapists. #CAT-0005. 65 contact hours.